My little girl's birthday cake this year was designed by Mimi herself. 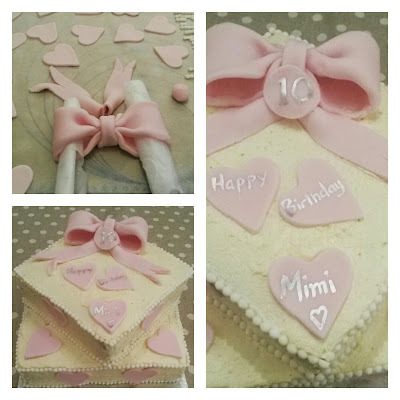 She chose a design based on the leopard skin cake I made a couple of years ago for my friend, square and diamond in shape, with pearls around the edges and a big bow on top. 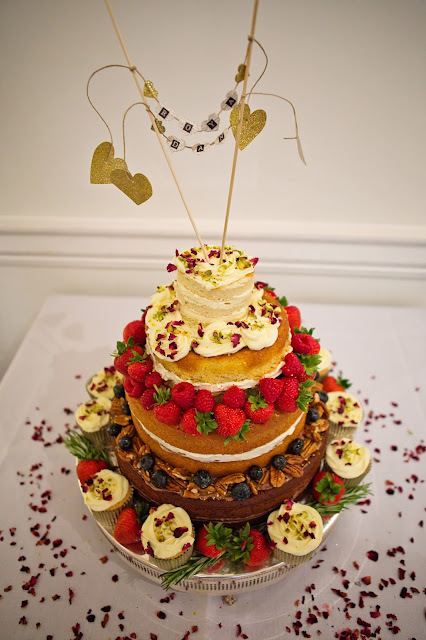 At the bottom a Victoria sponge, filled with vanilla buttercream, and on top a chocolate sponge filled with the same plus melted chocolate. 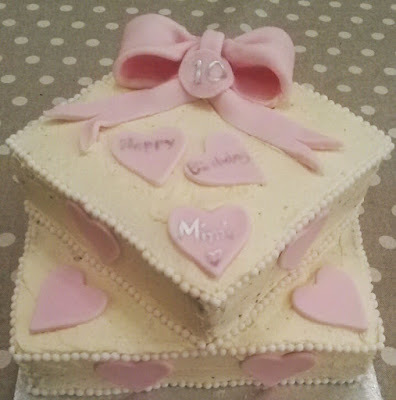 Both layers crumb coated in vanilla buttercream with a giant pink bow and love hearts dotted around, silver writing and moulded pearls around the edges. Pretty simple, and very effective.